As radio astronomy enters a transformative new era, Perimeter Institute and Canada’s National Research Council (NRC) have launched two new fellowships to accelerate the research of young scientists conducting theory, data analysis, or instrument development. The new initiative is a collaboration between Perimeter and NRC’s Dominion Radio Astrophysical Observatory (DRAO), the site of Canada’s revolutionary Canadian Hydrogen Intensity Mapping Experiment (CHIME) Telescope. Instruments like CHIME and forthcoming experiments possess unprecedented statistical power, promising to open new windows into fundamental physics questions, including dark matter, gravity, and neutrinos. These instruments will be used to tackle new challenges in data analysis and high-performance computing, and will help scientists resolve deep astronomical puzzles, such as the origin of fast radio bursts (FRBs). The Perimeter-DRAO partnership will bring together theorists, data analysts, and instrumentalists at the leading edge of this very exciting field. One of the postdoctoral fellows will be based at the DRAO, with the other at Perimeter Institute; each will be encouraged to spend time at the other institution to deepen the partnership and strengthen the connections between the institutions. 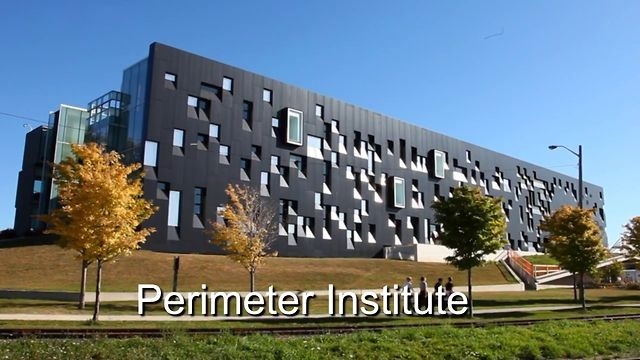 Perimeter Institute is part of a number of radio astronomy collaborations, including CHIME/FRB, HIRAX (Hydrogen Intensity and Real-time Analysis Experiment), and the EHT (Event Horizon Telescope), among others. Perimeter researchers associated with these initiatives include Avery Broderick, Ue-Li Pen, Will Percival, Daniel Siegel, Kendrick Smith, and Neil Turok. In addition to hosting CHIME in British Columbia and several other radio telescopes, DRAO features laboratories and specialized equipment for the design and construction of all aspects of radio-frequency instrumentation, from highly sensitive antennae and receiver systems to high-speed digital signal processing hardware and software. This national facility is home to astronomers, astrophysicists, engineers, and technologists, as well as visiting researchers and students from universities and astronomical observatories around the world. The deadline to apply for the fellowships is January 31, 2019. Find more information and apply here. South African HIRAX prototype dishes at Hartebeesthoek Astronomy Observatory near Johannesburg. South Africa is becoming one of the world’s most important radio astronomy hubs, thanks in large part to its role as co-host of the Square Kilometre Array (SKA). Now a new telescope is being unveiled that will be built at the SKA South Africa site in the Karoo. This is not a part of SKA but it will benefit from SKA. The Hydrogen Intensity and Real-time Analysis eXperiment (HIRAX) project is an international collaboration being led by scientists from the University of KwaZulu-Natal. The Conversation Africa chatted to project leader Professor Kavilan Moodley about HIRAX’s scientific goals. It’s an interferometer array that will be made up of 1024 6-metre dishes. Interferometer arrays are really cool because they combine signals from many telescopes to provide the resolution of a larger telescope. HIRAX has two main science goals: to study the evolution of dark energy by tracking neutral hydrogen gas in galaxies, and to detect and localise mysterious radio flashes called fast radio bursts. Dark energy is a mysterious force driving the accelerated expansion of our universe. HIRAX can study it using a unique cosmic ruler provided by nature, called baryon acoustic oscillations. These were generated in the very early universe, which was a hot and dense soup of particles and light. Small irregularities gave rise to sound waves in this primordial soup. These waves carried matter as they travelled until a time when matter and light separated, distributing matter in a very characteristic pattern. Neutral hydrogen gas is a great tracer of the universe’s matter distribution. This neutral hydrogen emits a signal at 1420 MHz, which is in the range of frequencies used by cellular networks and UHF television channels; the signal gets stretched to lower frequencies as the universe expands. HIRAX will operate between 400 and 800 MHz allowing it to map neutral hydrogen in the universe between 7 to 11 billion years ago. Studying the characteristics of dark energy during this time has the potential to unravel its properties, as this is a vital time when dark energy became the primary component in the universe and accelerated its expansion. The second focus area involves mysterious bright, millisecond flashes that scientists call fast radio bursts. Scientists do not know what causes these. They’re also hard to detect and localise since they’re so brief and most telescopes only observe a small region of the sky. And HIRAX will add the unique capability of being able to figure out exactly where in the sky these fast radio bursts occur, by working with several other Southern African countries to build 8-dish outrigger arrays. These, in combination with the main array, will help localise these bursts to within their hosting galaxies. Then the team will need to figure out smart ways to compress, store and analyse this data. That will require big data hardware and software. The project originated as a response by UKZN and its partner institutions to a call for institutional flagship projects by the National Research Foundation. So it’s independent from the SKA and its precursor, the MeerKAT – but will benefit greatly from the South African investment in the SKA project, which gives it access to excellent infrastructure hosted by the South African Radio Astronomy Observatory. By sharing a location with MeerKAT on the SKA South Africa site, HIRAX will be able to conduct science in “radio-clear” skies across its wide frequency range; legislation has been introduced to limit radio frequency interference on the SKA SA site. It’s also a great space because it allows access to the southern sky covered by other cosmological surveys and, in turn, more of the galaxy where we’ll find pulsars. HIRAX will also contribute to training the next generation of scientists for the SKA; students working on the project will be trained in all aspects of the telescope, from engineering to science. Students who build hardware are also involved in data analysis, which provides a special environment for training upcoming radio astronomy experts.